> unlocking a skin or appearance on one character will not unlock it account-wide – you must separately unlock it on other characters. I just wonder if I should earn all the achievments on EVERY character that I want to have the skins unlocked by those achievs? As for the PVP appearances, wouldn't "Can't be unlocked until season X" work better? IIRC they're not restricted to their season. You don't need to be 110 to start unlocking additional appearances. Tint 3 of the Classic Appearance can be unlocked at 102 and Tint 4 can also be unlocked not long after as well. I was able to obtain both of those tints by level 105. Are we sure about this? Based on the description for and the fact that it follows seems to suggest that you have to research level 25 artifact knowledge to earn this achievement. Helpful guide thanks. Some of the acquisition have changed since beta. It would be helpful if the amount of time required was also put next to difficulty. Only 2 of the 16 are in any way "difficult" all the others take various degrees of real world time and repetitive effort. Thanks for taking the time to write this! Is Tint 4 for Hidden Appearances Honor Kills or Killing Blows? EDIT THE NINTH AND TOTALLY FINAL: All this edit business is taking a lot of screen space. I don't like to take what I don't need, so it's all getting shoved into a spoiler tag. Having now actually gotten a hidden appearance myself, I now see that tint 2 might be a bit more complex than originally anticipated. When tracking tints 3 and 4, you just see a single line that says "- x/200" or "- x/1000". Tint 2 shows five lines that say "- x/100" with an ellipsis indicating there is more. It appears that tint 2 is tracked...differently. It has twelve counters, perhaps one for each class. Fortunately, there still seems to be a way to get your progress. I had to use the original method below, but with a twist. Do a dungeon, then keep using the above command, replacing SOMENUMBER with numbers 0 through 11. You're looking for a line that says "=X", where X is any number greater than 0. Once you find the non-zero number, that number is how many dungeons out of 100 you've done. My progress seems to be tracked under (11152,6). I'm a fire mage, so my (nearly-baseless) theory is that mages will always use (11152,6). Alright, I give up. I have absolutely no idea how tint 2 is tracked, or if it's even working properly. First off, I can't tell for sure whether or not the criteria index starts from 0 or 1, because (11152,0) returns data, but wowprogramming.com documentation says it starts from 1. On top of that, eleven indices makes no sense. Twelve would make sense; one per class. Ten would make sense; one per dungeon. I would guess it starts from 1, but I can't be 100% sure. But here's where I'm really confused; I've done two dungeons with the hidden appearance. The first one incremented index 6 to 1/100. The second incremented index 3 to 1/100. (For what it's worth, they were DHT and VotW, in order, both heroic, both chosen randomly from the random heroic queue) I have absolutely no idea why two different indices were incremented. Furthermore, this has unfortunate implications concerning the hidden achievement's function. I'd guess it triggers once one of the indices reaches 100/100, which means you might be in for as many as 1090 dungeons before you finally get tint 2. Someone really needs to figure this out. Who am I kidding, I'm not going to give up. I even made a quick script to make it much, much easier. This script will print the values we're interested in for all eleven indices, in the form "index:value", after which it will print the sum of them all. And, for those keeping score, I did heroic VH through a random and index 8 incremented. Alright, after gathering 17 data points, I think I've divined the pattern. The indices correspond to dungeons. I ran both Arc and CoS before checking my data again, so I'm not sure which is which, but one is index 9 and the other is index 10. I haven't been checking index 0. I checked it just now, and it returns the same value as index 1 (which, incidentally, is not equal to the value of any other index 2~11). My sum of indices 1~11 has risen by exactly one with each dungeon completed, so I believe it's safe to assume that index 1 is returned when index 0 is called. Lastly, note that I am not statistically confident of this index=dungeon correlation. In math terms, p>0.05. Perhaps this correlation will continue as I complete more dungeons. Perhaps it won't. But I'll let you know. After speaking briefly with someone that knows how to code (probably even better than me), I have tentatively good news. They report that tint 2 does indeed unlock after 100 dungeons, IE when all of the indices sum to 100. I can't confirm this firsthand, but I believe them. As for the correlation between index and dungeon, I feel I can safely confirm that it is indeed correlated as described above. Furthermore, (I can't be quite as sure about this quite yet) it seems that index 7 corresponds to Fel Lord Betrug kills and index 8 corresponds to Sael'orn kills. Both final bosses of the same dungeon. With all that in mind, here's a simpler script that just gives you the sum, IE, the true count of how many dungeons you've run. As soon as I reach a sum of 100, I'll edit one last time to let you know. Currently at 86/100, but editing to say: I don't know if Karazhan counts. At the very least, there does not appear to be a 12th index to reference. Not sure if this is intentional. Hitting 100/100 total did indeed unlock tint 2. Apparently I also unlocked tint 4 at some point and got , despite having a massive aversion to PvP. I recently complete Glory of the LEgion Hero achievement and it did not unlock the weapon appearance. I submitted an in game ticket and the game master told me that is not how the weapon appearance is unlocked. Noone in my dungeon team got the appearance either. The gM wouldnt tell me how to unlock it and instead said you'll have to go to wowhead or somewhere to find out, it is intended the community figures it out. Like wtf. How do i get this appearance? Nice guide, but you have failed to mention HOW to USE the appearance once you unlock them. I have a couple achievements that say they are unlocked, but it doesn't say where to go to use them and they aren't in my wardrobe. I've got the 3rd tint from the classic appearance, and I've not done the quest, "! A Falling Star"
I have a question about the 100 Dungeon, Does it has to be in Normal, Heroic or Mythic? and I should use the Skin at every moment (Each boss) or can I switch my artifact to an other one then switch back to final boss? So I just died a little inside. Looks like to unlock the Valorous appearance, I have to be able to pull off a normal raid for at least four weeks to complete the questline from Emerald Nightmare. Not just once, but to gather 30 items. I really thought I would be able to get this appearance eventually, and if they never add the items to LFR my whole Legion experience is going to be shaded by disappointment. I couldn't figure out how to set the artifact appearance after unlocking it... I was at the seed where I add skills to my artifact weapon and messed with the appearance tab, but nothing was happening. Come to find out, it's because I had the glyph on my darn Bear Form. Get some vanishing powder from the Supplies person at any Inscription trainer area and you're good to go. I guess it doesn't count mythics, done tons of them only few heroic and they're counting my heroics not mythics. Good afternoon! Do you get an announcement when you've unlocked a particular tint? For instance, when I've completed 200 world quests with my hidden appearance, will it notify me or do I just have to keep checking my order hall? Thanks! Can somebody confirm that Tint 4 can also be completed from friendly fire? I started with 0/200 after receiving the new appearance. I used the tracking command, then went into heroic Emerald Nightmare and after a night of raiding with a few wipes I came out with 200/1000. I think friendly fire may count as well. I've created a single macro to track dungeon, world quest, and player kill progress. Additionally, you can track these hidden achievements. Keep in mind that dungeons are tracked individually, and the sum of all of the dungeons is what counts for the achievement. Please let me know if this helps you out! Edit: I condensed the macro and included (and any future dungeons). I do not know if I am the happy victim of a bug or if this is intentional, but I have unlocked the 1000 pvp kills skin for my artifact and I have knowingly killed the grand total of 3 players in pvp. My priest has not even set one delicate little toe in a BG, so I know for sure how many people I've killed. I have, however, done a *bleep*-ton of pvp world quests. So probably maybe those kills count towards the total. I can't track it anymore, all unlocked and such, but someone might want to track the achievement and confirm or disprove this alternative way of getting the pvp skin. Can i complete the emerald nightmare requirements on LFR with the valorous artifact appearance ? Not sure if this was asked already, but do you have to unlock the appearances in order? For the Valorus, for example, while I don't have the Balance of Power quest done, I have the achievement Unleashed Monstrosities completed but I don't have the option to use the appearance for it. I modified the scripts on this page to give a more complete and accurate count for the dungeon achievement. I believe this includes Karazhan, too. Can someone confirm that us healers are basically &*! @ed if we get our healing hidden artifact first and need to complete 200 world quests with it equipped and in resto spec, or is there some other way to do this that doesn't totally neglect healers like literally all other types of content similar to this? I'm not sure what's up with the Dungeon counter for the unique skin. It's telling me I've only run 7 dungeons, but that's not accurate. I ran 5 just today, and between heroic runs, mythic runs, and mythic+ runs, I should be much higher than this. 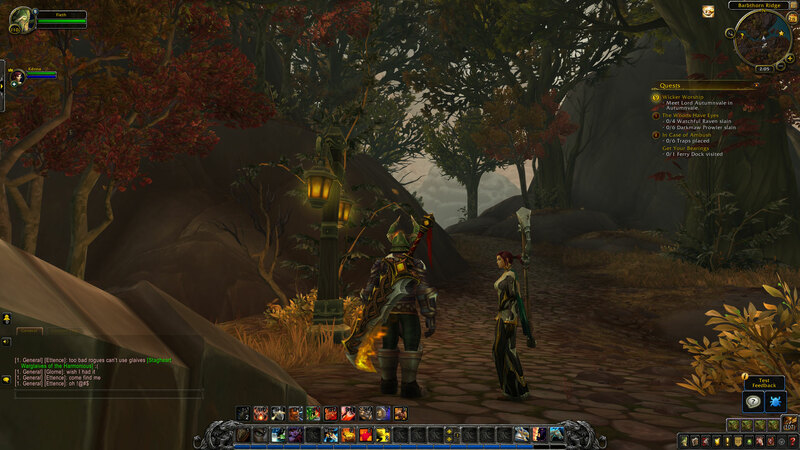 YES, Blizzard did screw you over with these tints in this particular appearance tree. YES you, you are correct, you did completed the "required" achievement to unlock the "unleashed monstrosities", "Mythic 15+", and "Glory of the Legion Hero" appearance, BUT NO you do not get to use your appearance after all of your time, effort, and hardwork/patience that went into obtaining these tints. WHY? Because you have to complete the "Balance of Power" quest line before you will EVER get to use the other appearances that tree you worked hard to get, since blizzard said screw you guys, if you don't raid you get NONE of the other appearances. So, enjoy sitting on top of completed achievements but unavailable achievement rewards/appearances if you're not a raider or someone who doesn't have much time to raid on Normal mode EN or NH. Blizzard basically said your time and effort in the other achievements for this tree wasn't good enough, so we're going to give you this (hidden) requirement, then tell you, BUT WAIT THERE'S MORE (after you contact a GM to figure out why you aren't rewarded for completing the achievement to unlock said appearance)... it's in the fine print no one told you about. For the hidden appearances that drop off bosses and other mobs, do u have to be in the spec that it is for in order for it to drop? I know It worked during 7.0 but since 7.2 I havent. If im a resto druid can the tank appearance drop off Ursoc if Im in Resto? In Assault on Violet Hold, and I also did not do Nightbane in Karazhan. Doing all of this only unlocked Tint 4 of my Challenge appearance on Vengeance, and my Havoc Challenge appearance Tint 4 is not unlocked. So this is spec specific, not character. Thank you so much for this guide - really well put together as has been a big help for me and my many alts! You do not need to kill 1000 enemies in PvP, you can just kill 1000 mobs and it will unlock too. All I want is to be able to keep my appearances after we lose our artifact weps in my transmog lineup. I love my hidden appearance on my prot pally, it looks a little like Hamuul's mace. I'd love it if I could remember where it dropped so my Draenei pally could get it, too. I don't get why these appearances are character locked. I have one horde and one alliance paladin and only the horde paladin has unlocked them. Does blizzard seriously expect from me to redo all the requirements on the Same Class for a second time to get those hard earned appearances? I am not a mindless puppet, doing the same stuff over and over is not fun. I really miss the days when the only way to get a weapon appearance was to get the actual weapon to drop. I have a question, now that we've moved on to Battle for Azeroth (BfA) expac, and are not in Legion any longer. If I want to unlock additional tints, such as unlocking the fourth tint of the Valorous appearance by doing "Glory of the Legion Hero", do I have to be doing this with a Legion artifact weapon equipped? Or can I use the more advanced BfA weapons? I am most concerned with the tints from the Challenge Appearance (by completing a Mage Tower challenge). I completed the Mage Tower challenge very late in Legion, and I didn't get tints two or four (killing Kil'jaeden or completing all ten Legion dungeons) unlocked yet. I had done those things earlier in the expac, before I finished Mage Tower, but someone pointed out to me that the tints unlock only if you do those things *after* the base appearance gets unlocked by the Mage Tower challenge... well, it was so late in Legion by the time I conquered Mage Tower that I never went back and re-ran all the dungeons or ToS to get the 2nd and 4th tints. Now I want to do that. But hence my question: the text above suggests that you must kill Kil'jaeden with one of the artifact weapons equipped, any weapon for any spec, but it suggests that it must be a Legion artifact weapon. Ditto for clearing the ten dungeons. Do I need to re-run all ten dungeons and ToS with one of the artifact weapons to unlock these two tints now? Can't I just use the more advanced BfA weapons?